Enjoy a ceremony tailored for - "Your child - Your way"
Useful info to make your wedding perfect. 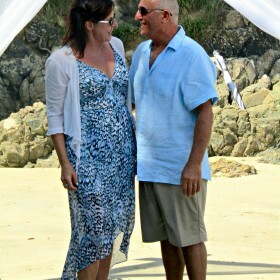 My name is Bev Weber and I welcome you to my "Coastal Ceremonies" webpage. This site covers Marriages, Funeral and Naming ceremonies with a "contact us" page at the end. I hope you enjoy browsing through this site and that it helps you make a decision in respect of the ceremony that's right for you. 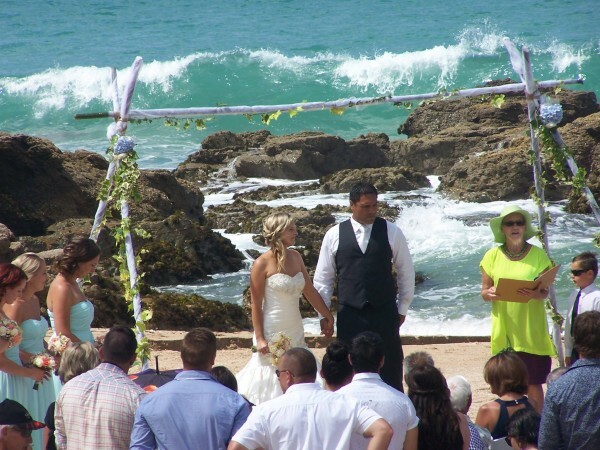 I welcome you to meet with me here at Coopers beach, in the beautiful Doubtless Bay, to talk through what's important for you in your special ceremony. Using my background as a Counsellor and Artist I may be able to offer creative choices that add something unique and different for your special day. 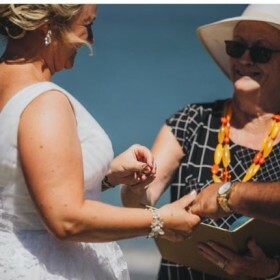 You have chosen to exchange your wedding vows in a beautiful part of the world - New Zealand, and particularly on and around the glorious Northland beaches. 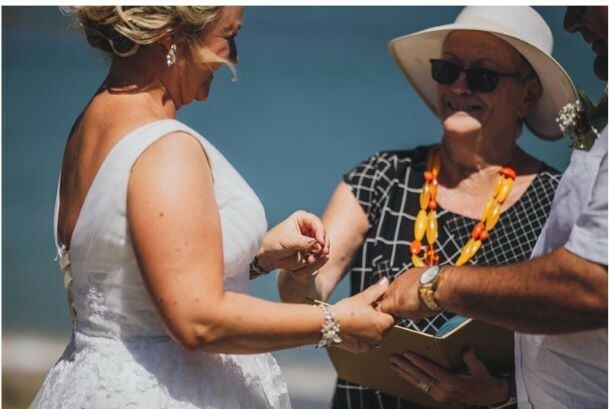 The process of applying for a Marriage Licence/Copy of Particulars of Marriage is quite simple - go to www.bdm.govt.nz - the Marriage Licence is a legal requirement. 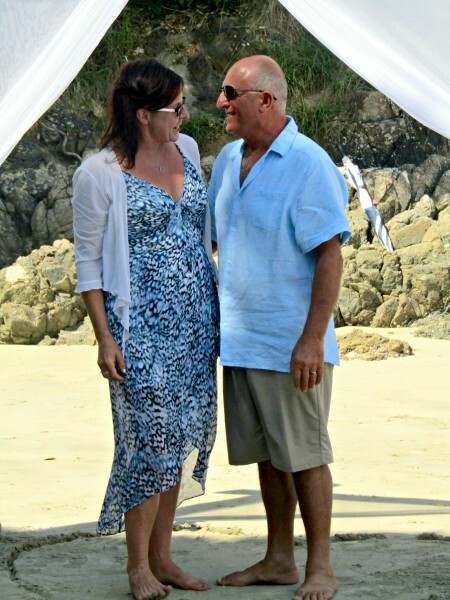 More and more couples are looking to our beautiful country as a wedding venue.